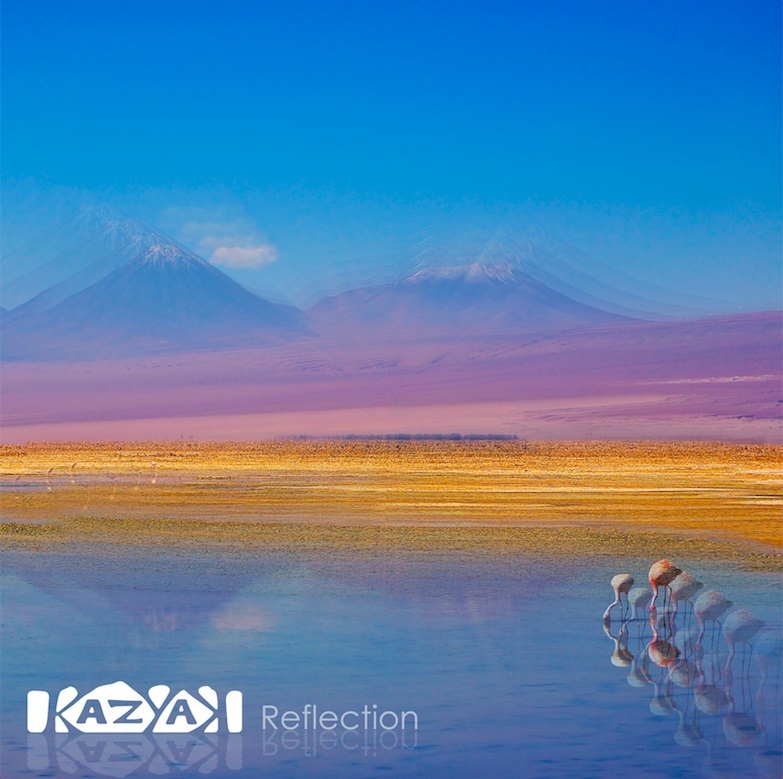 Atwood Magazine is proud to be premiering the single and music video for “Talking to a Stranger,” off Kazyak’s upcoming debut album, Reflection (independently out November 2, 2018). “Talking to a Stranger” is a stylistic grab bag, but not in such a way that it can’t find its footing. There’s psychedelic rock here, as well as bluegrass, folk, and country. There’s a bit of Gillian Welch and a bit of John Lennon, threaded through with lyrical abstraction and haunting harmonies. The listener is pulled into the song and back in time with the words, and as is eventually heard, the droning, repetitious loop of the melodies and instrumentation begins to feel like a cyclical daze. Frey’s vocal lines and the harmonies are hushed, recalling the soft croon of Iron & Wine‘s Sam Beam. The instrumentation swoons in and out of the vocals, both acoustic and electric. The synth line is predominant, but there’s a constant thrum of the drums and bass beneath, punctuated by a rolling banjo – bandmates Andy Wolfe, Pat Hayes, Nick Grewe, and Tyler Safranek round out the quintet. The song sounds at once like 60s rock and 70s folk, yet also like something that could have been off of O Brother, Where Art Thou‘s infamous soundtrack. A bluegrass riff enters momentarily, straight from an old-timey reel. The energy picks up for a moment, but almost as quickly, it drops back into the low, yet burgeoning tension of the verse. the speaker. In the latter half of the song, the harmonies become more intense. Dissonant chords are stacked on top of each other, creating a wave of sound that rises and falls. The song falls again, settling back into the more relaxed mode of the start. But just when you think it’s over, an exuberant instrumental outro begins. A jaunty synth line plays on loop, once again recalling both old bluegrass and 60s psychedelia. This plays the song out, passing the five minute mark, eventually fading to silence. Kazyak’s “Talking to a Stranger” defies full categorization, which makes sense for a band that draws inspiration from as far-reaching influences as Wilco, Yo La Tengo, Bob Dylan, Gillian Welch, and even Salvador Dali). Their upcoming album is sure to be filled with similar surrealist gems. Reflection will be released November 2.